A cure for malaria is about to become very cheap, thanks to a Berkeley professor and his team of researchers. But 10 years is not going to be any time soon when someone, most likely a child, dies of malaria infection every 30 seconds. 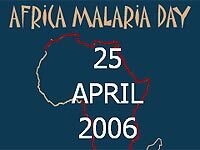 The World Health Organization [WHO] and its Roll Back Malaria partnership set April 25 as the “Africa Malaria Day” to raise funds for Artemisinin-based Combination Therapy [ACT] that is more expensive than older anti-malarials, such as chloroquine, sulfadoxine—pyrimethamine [SP] and amodiaquine. But some African countries are still refusing to use ACT due to its cost. Malaria infects 300 million to 500 million people every year. At least one million and as many as 2.7 million, most of children in Sub-Saharan Africa, die from it each year. Plasmodium falciparum is the deadliest of four parasites that cause malaria. Most anti-malarials have been derived from ancient medicinal plants, such as sweet wormwood (4th Century China) and cinchona tree (17th Century South America). The estimated financial burden on Africa from malaria is about US$12 billion annually. Donations may be made to the U.N. Foundation’s Malaria Fund. Kenya will phase out the sulfur-based malaria drugs in favor of ACT, but the program will likely stall when the government runs out of cash, The East African Standard reports. Artemisinin-based drugs rely on the natural growth of sweet wormwood (Artemisia annua), which takes nine months to grow (mostly in China) and a few more months to process. opportunity to eliminate malaria-related deaths. The availability of generic drugs made in China and India may help drive the cost down, but synthetic drugs would be key to producing a large supply fast and cheaply. Poor management and inappropriate use of anti-malarial drugs in the past century have led to drug resistance among malaria parasites. The combination therapy uses one artemisinin-based drug and an older drug to delay the development of resistance. At University of California, Berkeley, Professor Jay Keasling and his team engineered one yeast species (Saccharomyces cerevisiae) to produce artemisinic acid, which is one step away from producing artemisinin. His work, which was published in journal Nature, was done with help from the Institute for OneWorld Health, Amyris Biotechnologies and the Bill and Melinda Gates Foundation, which gave them a US$43 million grant to make it happen. For malaria genome and more scientific information about the disease, see Nature. The C.D.C. has quick malaria facts. South African researchers claim they have developed a new anti-malarial based on a secret plant. Coartem®, by Novartis, is the leading artemisinin-based anti-malarial.